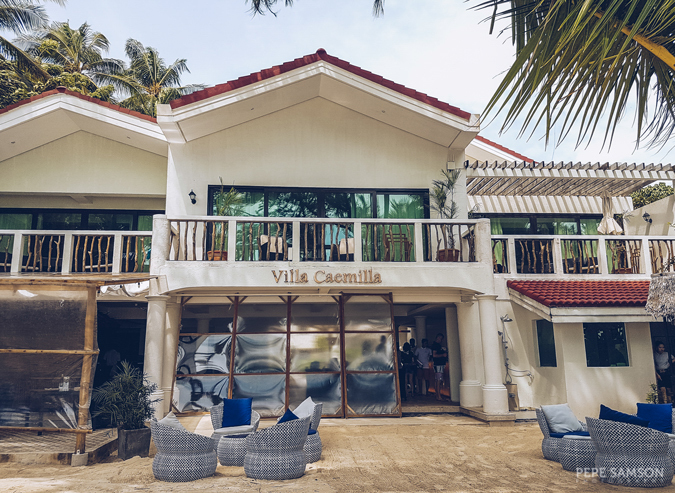 Villa Caemilla Beach Boutique Hotel in Boracay is unlike any of the hotels I have previously stayed in. For one, I usually stay near the parties—but this hotel, it’s a long 15-minute walk away, perhaps more after several beers. 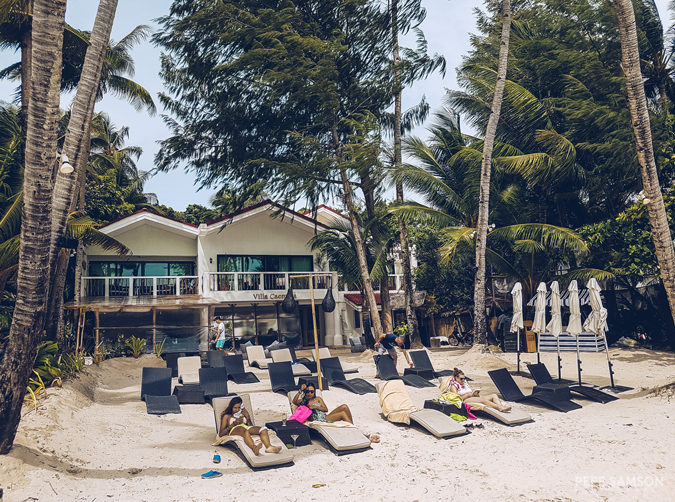 But this is precisely what I loved about it—the fact that I have my own piece of paradise away from everything: from establishments, from loud music, from the constant island buzz. 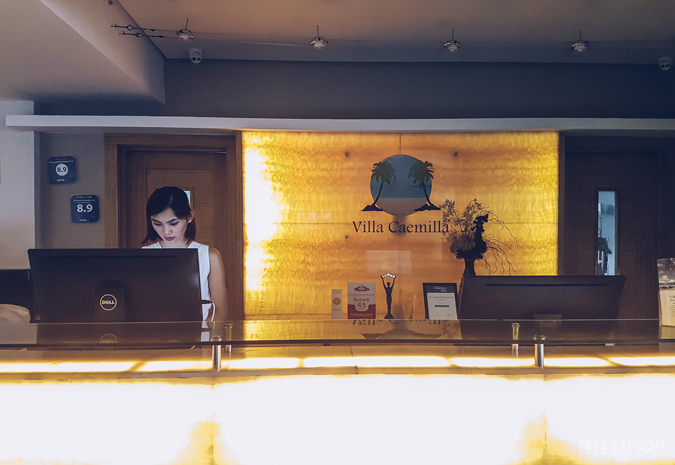 If you are someone who has given up and thinks that Boracay has lost its charm because of too much commercialization, you have to experience Villa Caemilla. 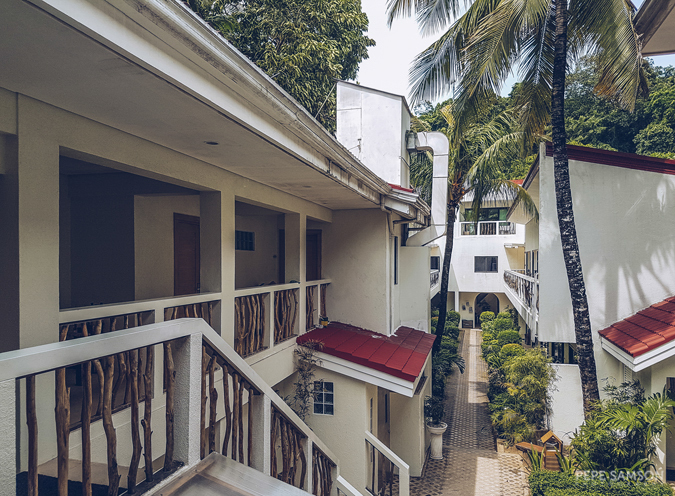 Situated in Station 3, this boutique hotel showcases the other side of Boracay—the serene one, the paradise lost. It is isolated from the exciting and sometimes chaotic beach activity, but not that far as to require transportation. 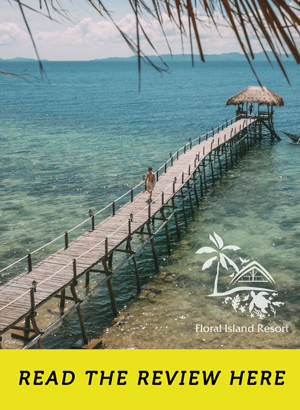 It affords you the luxury of having your own beachfront space, without a hundred silhouettes blocking your view of the island’s perfect waters. 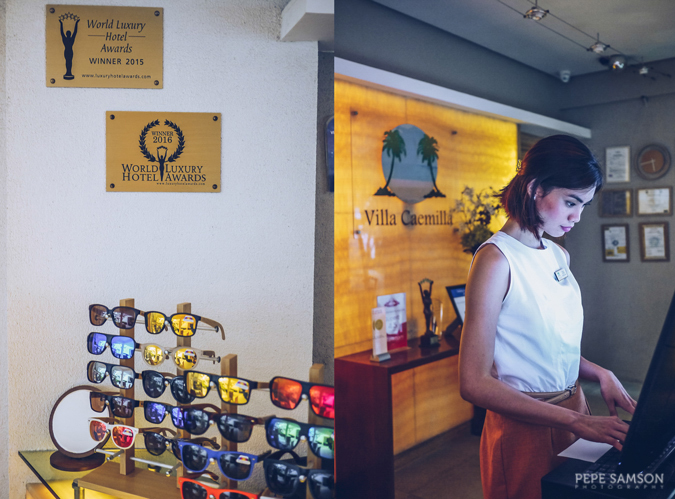 Read on to find out more about Villa Caemilla Beach Boutique Hotel. 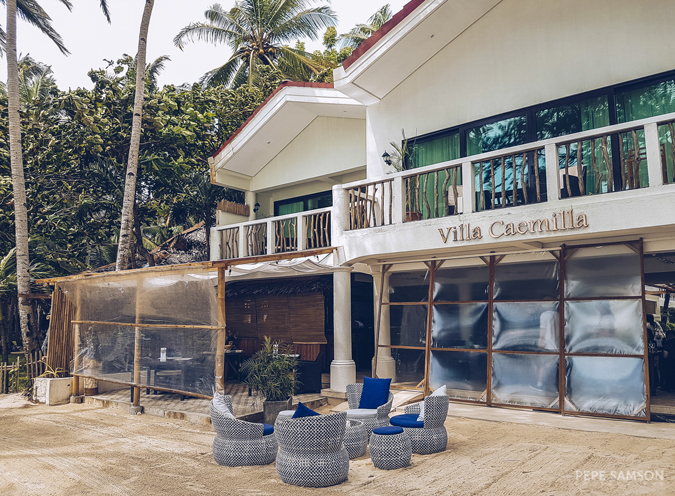 Stepping from the sand and into Villa Caemilla’s open-fronted lobby didn’t feel like leaving the beach at all—it felt like entering an extension of it. 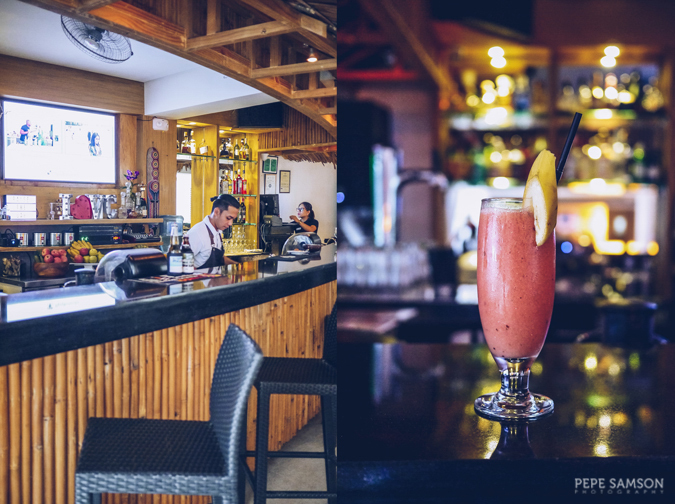 Warm colors dominate the space, and the staff’s warm smiles mirror anyone’s first impression of Boracay. 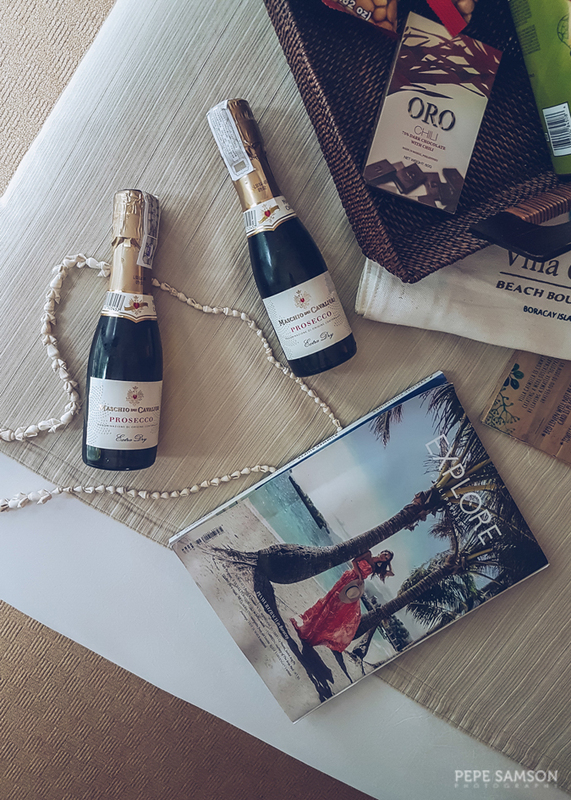 Guests receive a welcome shell necklace upon checking in, as well as a cold scented face towel and a ticket stub for the welcome drink, redeemable anytime within the duration of stay. 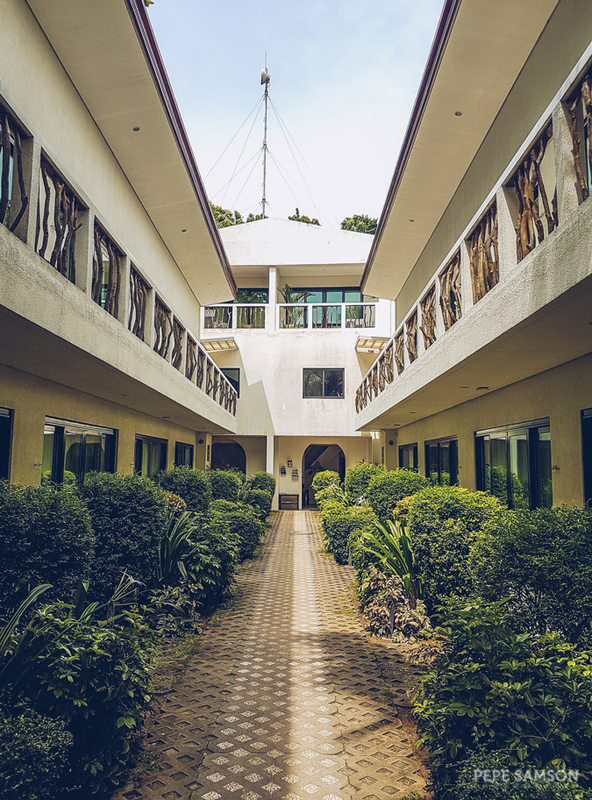 After securing my room key, I was assisted by Villa Caemilla staff to my room, and as we passed the other suites lined up along the center walkway, I couldn’t help but feel like I have just truly arrived—a feeling that’s hard to explain but something you don’t get in all hotels. 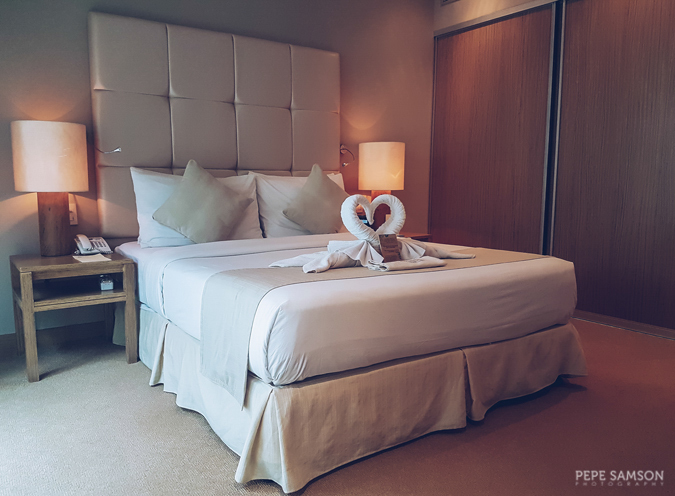 A recipient of the 2016 and 2015 World Luxury Hotel Awards, Villa Caemilla has 39 stylish rooms and suites, which can accommodate both couples and families. Each one is well-appointed and beautifully designed; much thought is given up to the smallest details. No wonder it bagged an award even as a newcomer. 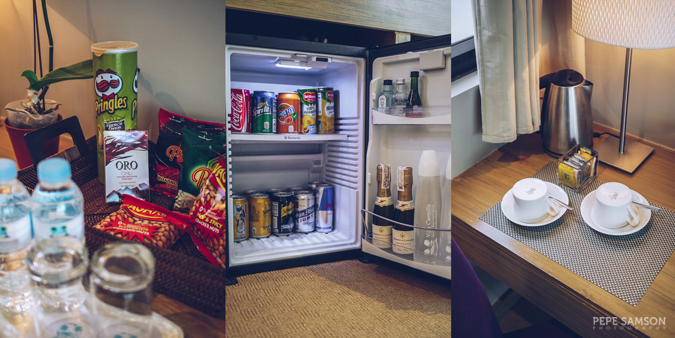 I stayed in Superior Deluxe Room (check rates), which comes equipped with a Queen-size bed, a workstation, a mini-bar, and an en suite bathroom. 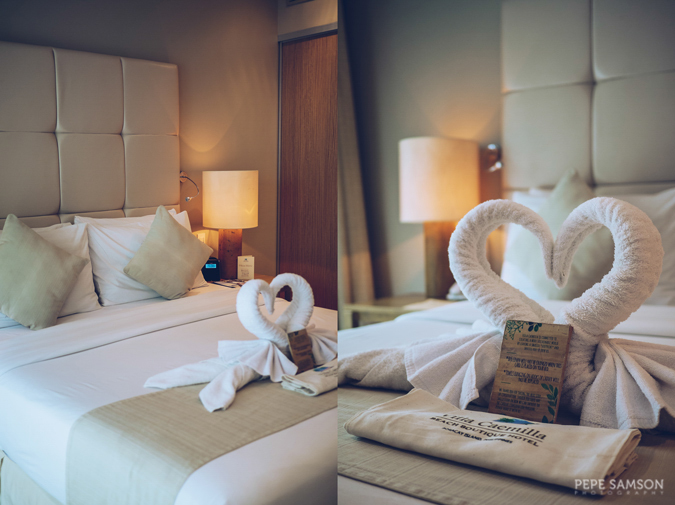 At 25 sqm., the room is very spacious and perfect for couples. The first thing I noticed when I stepped in was the amazing scent, which makes the whole ambiance spa-like. 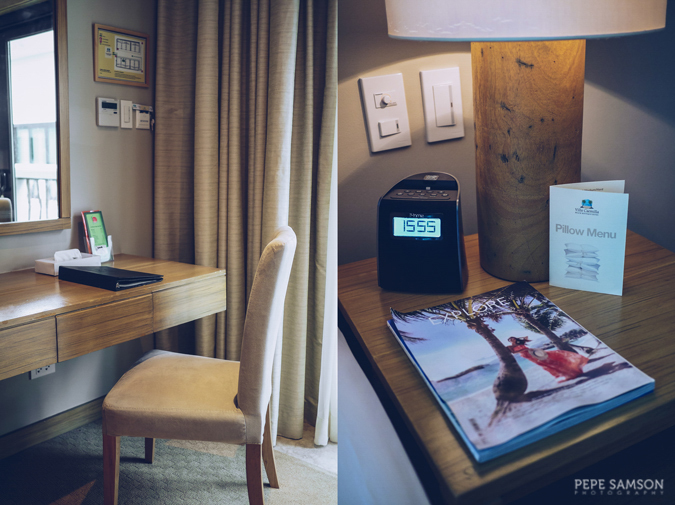 Add that to the room’s muted hues and you have the formula for an incredibly relaxing stay. 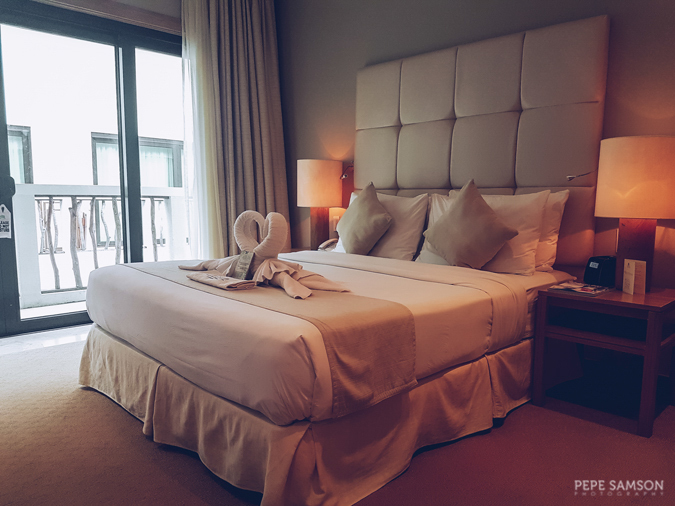 The spacious bed is very inviting—I couldn’t wait to snuggle up under those thick sheets and get some rest after my flight! 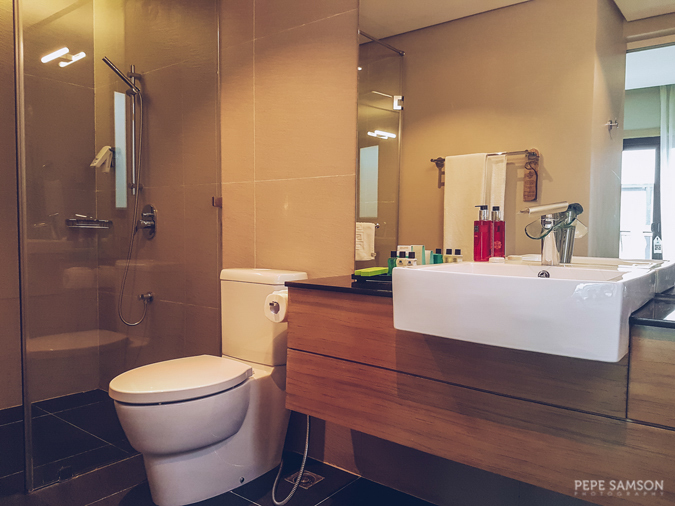 The calming ambience continues in the bathroom, which is fitted simply with a basin, a toilet with bidet, and a walk-in shower, but supplied with great toiletries. The shampoo leaves you smelling fresh after a long day out in the sun—it wasn't the most masculine scent but I liked it, LOL. The bathroom is accessible via a sliding door that connects to the closet. 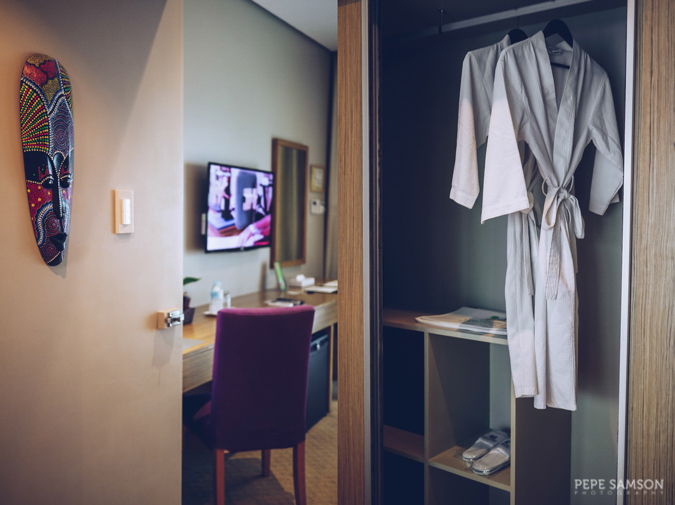 Other features of the room include a flat-screen cable TV, coffee and tea making facilities, a safety deposit box, a pillow menu, free Wi-Fi access, and a well-stocked mini-bar, perfect for late-night cravings or a sudden desire for a drink before going to bed. 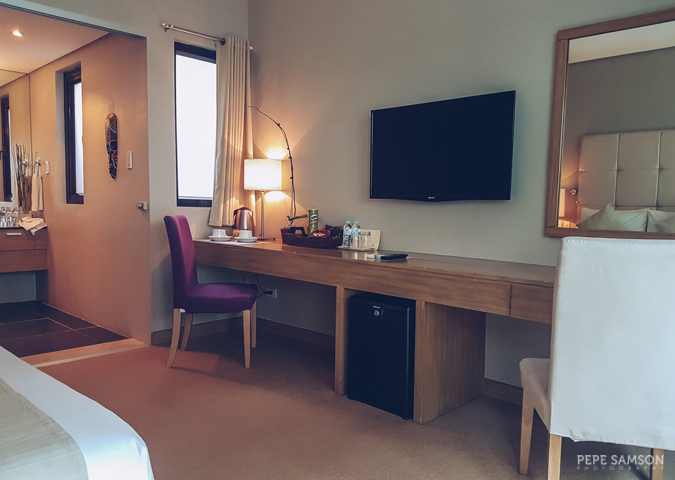 If you’re traveling with a group of friends or with family, you might want to check out the suites, which can accommodate 4 persons or more. 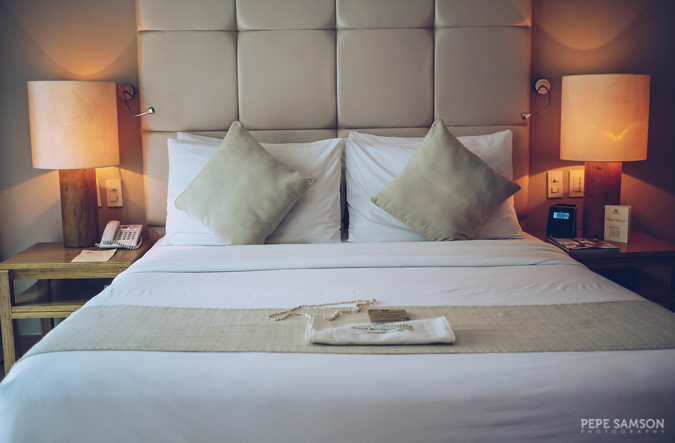 The Junior Suite is a luxurious choice—fitted with a Queen-size bed, a sofa bed, a lavish bathroom, complimentary red and white wines, and its own sea-facing balcony. 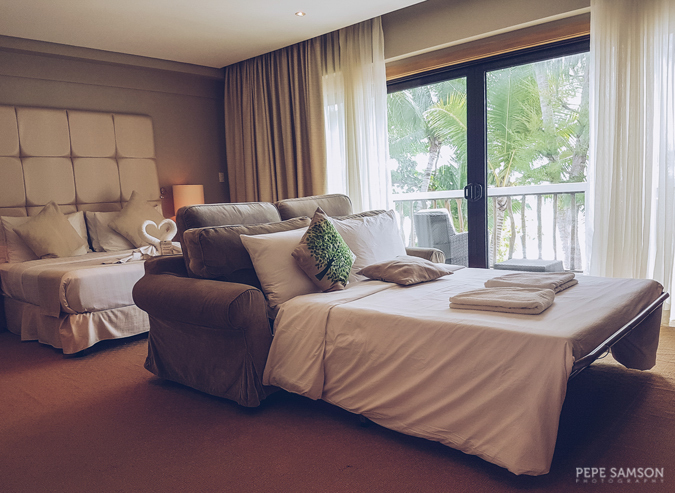 What a dream this room is! 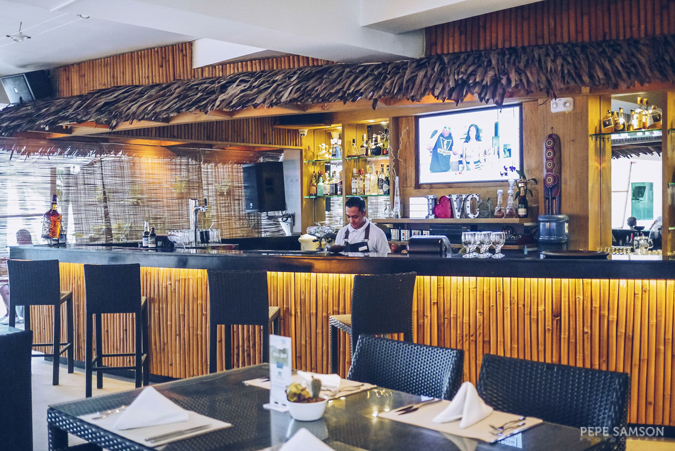 Villa Caemilla’s in-house restaurant, called Boracay, is situated in the hotel lobby and extends to the beachfront area. 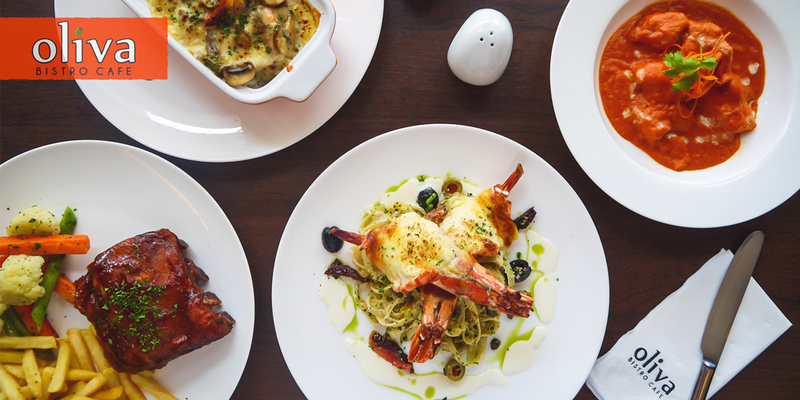 The open-air set up exudes a cozy and laid-back atmosphere that entices guests to lounge around for hours accompanied by luscious dishes and refreshments. Tables occupy the center, while the native-looking bar sits on one side, boasting of a good selection of liquors. 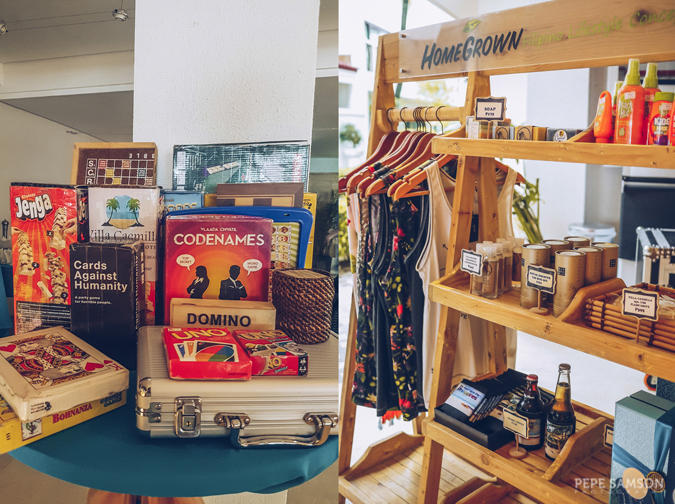 On one corner there are board and card games which guests can borrow; on the other, a mini-shop featuring locally made products and souvenirs. 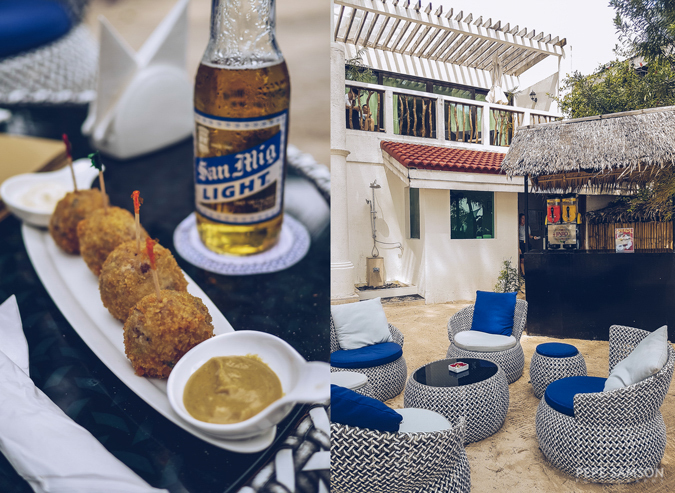 Outside, in the alfresco area, diners can sit back on oversized chairs as they sip on beers or cocktails with some pica-pica. 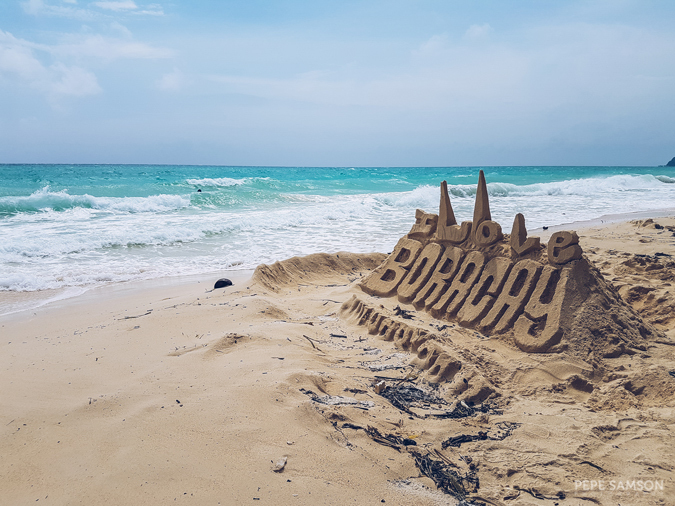 Restaurant Boracay serves an amazing selection of breakfast sets and an a la carte menu composed of international cuisines. Buffet lovers: I hate to break it to you, but the hotel serves plated breakfast. 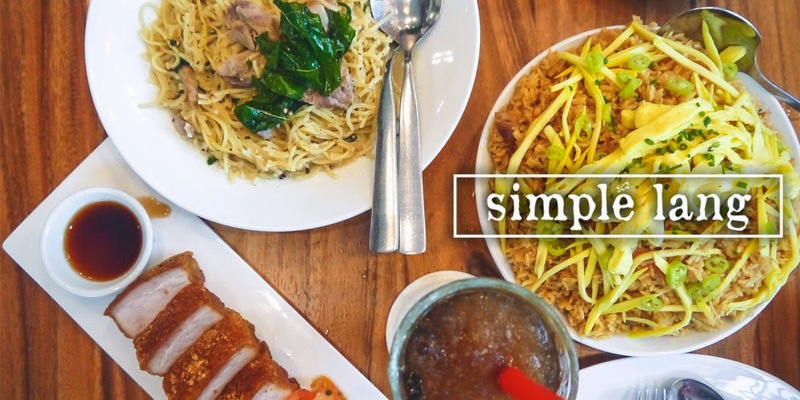 I actually prefer this because buffet items tend to be just typical, but when it’s plated, the restaurant has the freedom to be creative and offer more carefully thought-of options. 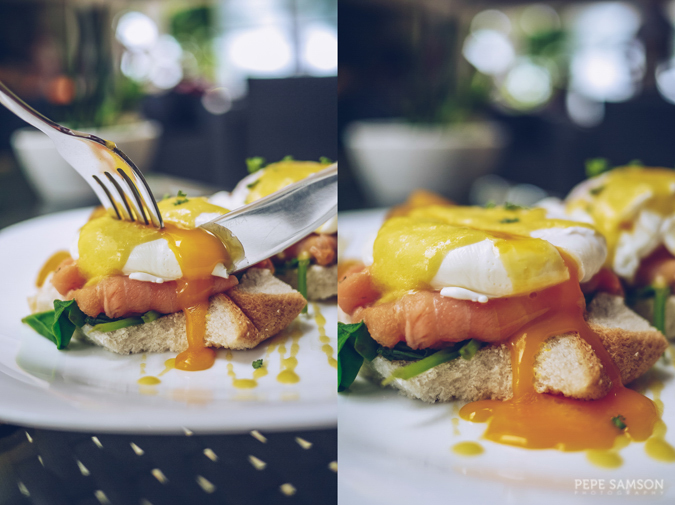 I got myself the Royal Eggs Benedict (PhP455)—their version of salmon eggs ben. Instead of ham, smoked salmon sits on a bed of spinach and a Brioche bread, then crowned by poached egg and Hollandaise sauce. 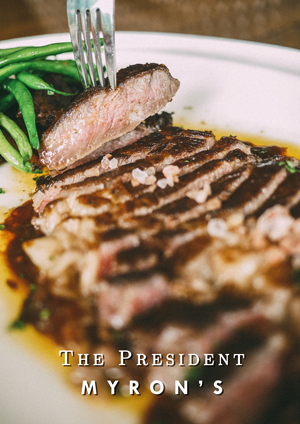 I loved how light and exquisite it was—the mix of flavors and textures felt incredible in the mouth. Recently I’ve been trying to watch what I eat so for my morning drink I got the Green Detox (PhP295), which is a mix of green apple, kiwi, lime, and spinach—it was very good! 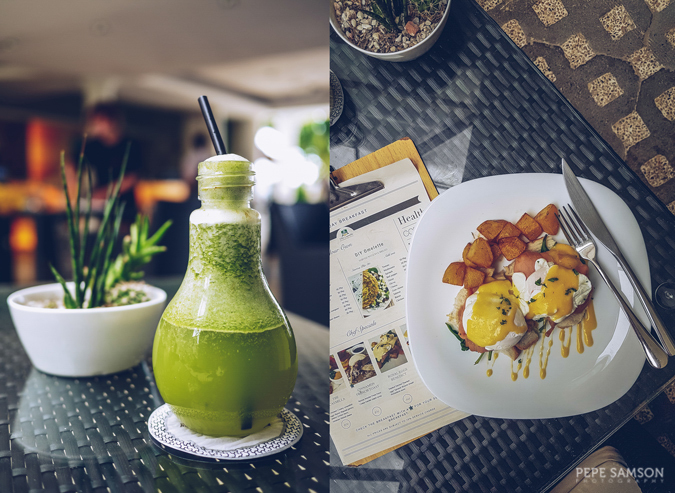 I like the fact that the breakfast menu has healthy choices like muesli, yogurt, and fresh fruits. Therefore both heavy and light eaters will find a favorite from their selections. My attempt to start the day healthy, however, was quickly offset by my desire to try their bar chow—and of course, what’s bar food without a beer or two? LOL. 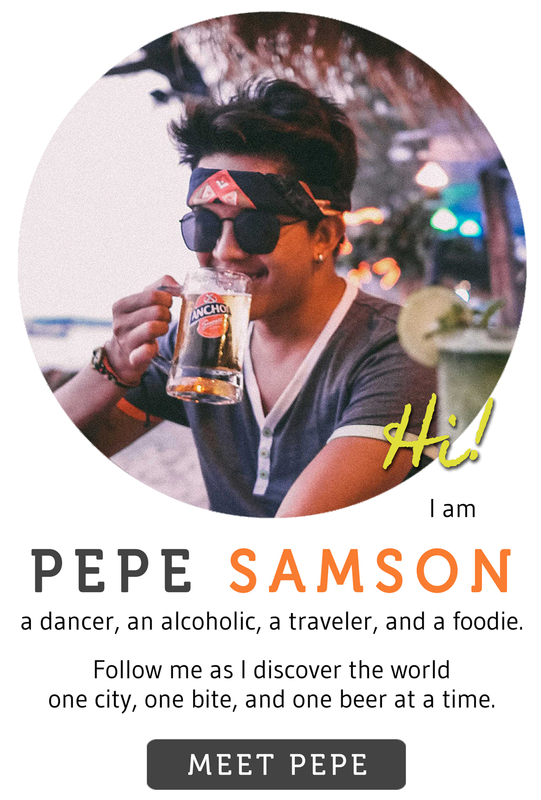 I was very curious with their Bitterballen (PhP250), which are Dutch-style croquettes, so I got some along with two beers (two for the price of one during Happy Hour, 2PM – 6PM). Flavor-wise the Bitterballen was really good but I would have preferred a slightly crispier exterior. I enjoyed this in their beachfront area where I people-watched and just listened to the lapping of the waves and the swaying of palm trees. Best croquettes of my life. When one hears the word “luxury”, he often associates it with plush amenities, over-the-top trimmings, and lavish attention and pampering. But for me, luxury is an excess of something you don’t usually have—in the case of Villa Caemilla, it’s the cocoon-like room that unwinds you, whether you asked for it or not; it’s the quiet time—hours, not minutes—spent in your own beachfront space, with barely any other people; it’s the sight of the beach greeting you each morning; it’s the plate of food that doesn’t just fill the tummy but satisfies the taste buds as well; it’s the feeling you have all to yourself the island that others knew from years back. Villa Caemilla, from the outside, looks meek and simple rather than grand or stunning. But once you step inside, the idea of leaving becomes the most undesirable option. 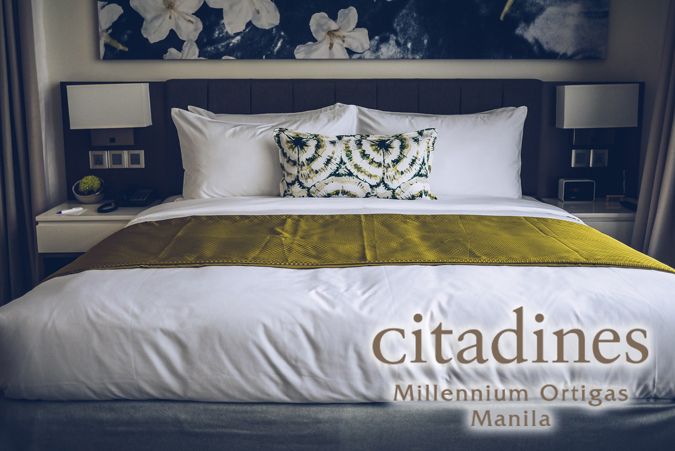 The rooms are stylish and very cozy, with relaxing aromas and great amenities. Warm and attentive staff, greets you all the time. 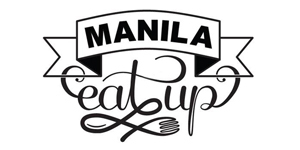 Great breakfast choices with notable healthy options. 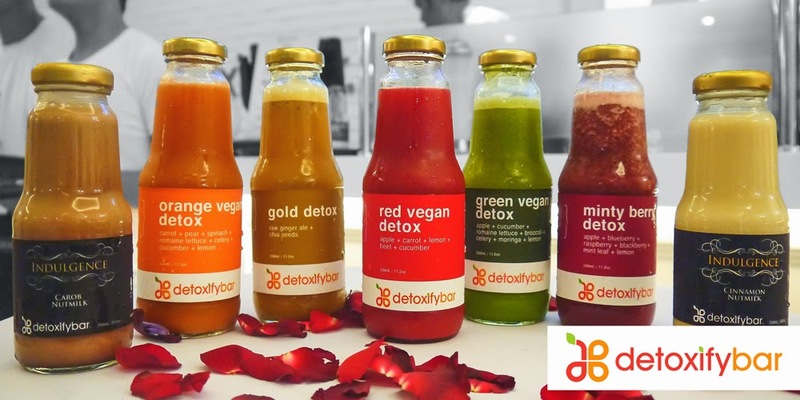 Well-made drinks. Relaxing and spa-like; very cheery and homey. Quiet and peaceful, but still by the beach; the island buzz at a walkable distance. A serene accommodation choice in an island flocked by millions of tourists every year. 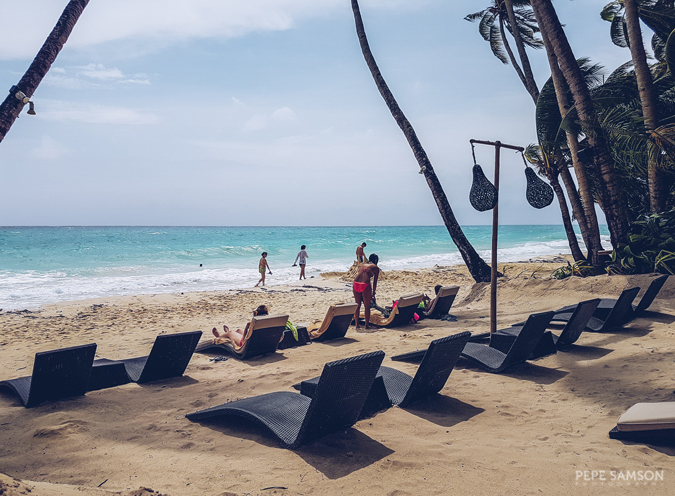 Near the beach but away from the crowd—a true paradise. Others may find breakfast portions too small and pricey. 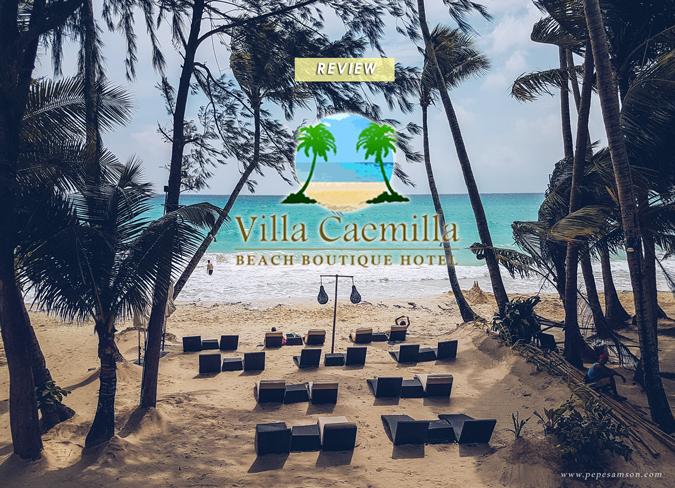 Click here to find the BEST room rates at Villa Caemilla Beach Boutique Hotel. Have you stayed in Station 3? 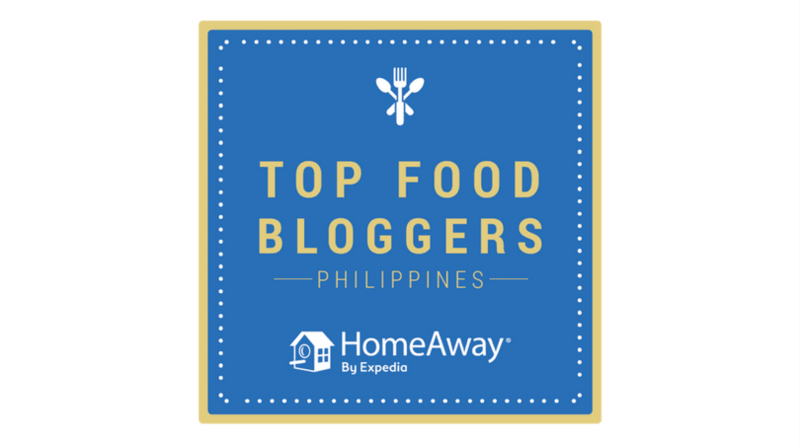 Do you have a favorite hotel or resort there? What do you think of Villa Caemilla?